This book combines both biography and musical commentary into a wonderful whole. Samson approaches Chopin's life in a way that is refreshingly free of sentimentality or hagiography. He is even-handed in his descriptions of Chopin's personality and his complex long-term relationship with writer George Sand. He does a lot to counter the overly romanticized image of a delicate and soulful musician tragically dying of tuberculosis in the midst of the 19th century Parisian arts world. 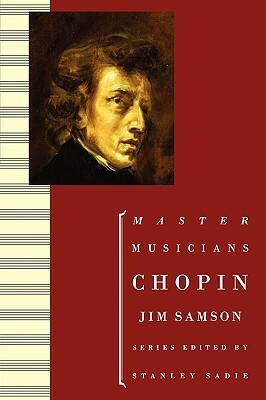 Instead we see musician who forged his own unique career and life in France while maintaining his Polish identity and ties.The best part of this book, however, is the way Samson writes about Chopin's music. He gets right to the heart of Chopin's craft and art without getting bogged down in overly technical language. Samson is especially good at exploring how Chopin invoked, defined, and re-defined genre in his works, which I found very useful and illuminating as someone who plays a lot of Chopin. One of the two definitive bios on Chopin.